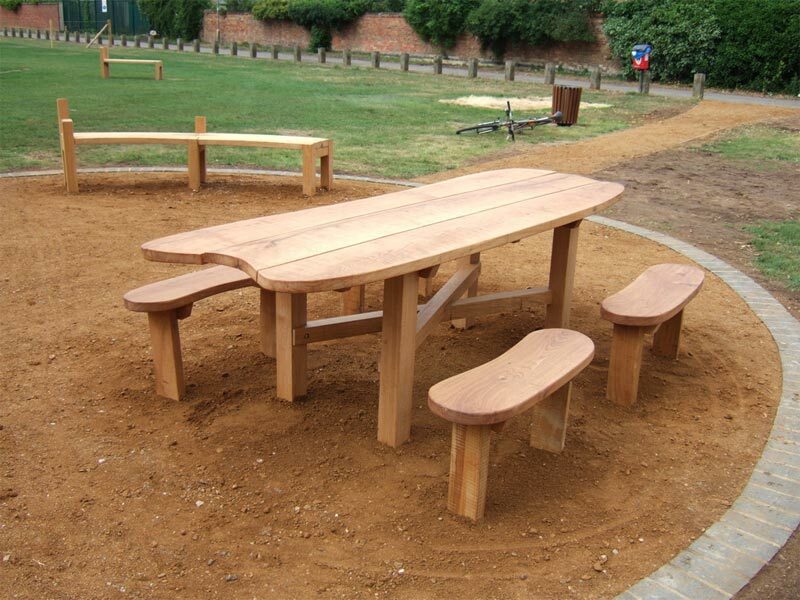 Working with landscape architects Topio and Groundwork UK we designed benches, tables and structures for three local playgrounds within Oxford city. Feedback from the council and playground users has been very positive. 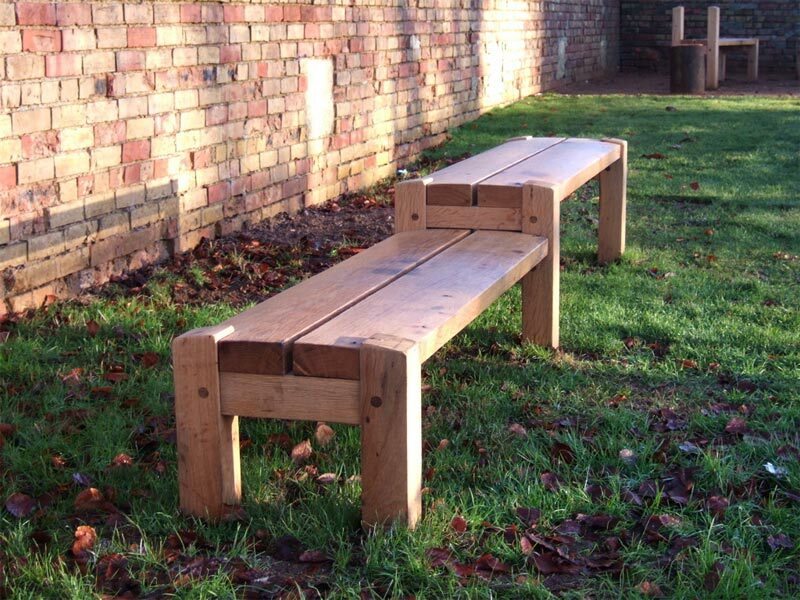 From the council's point of view the benches are easy to install with their extended legs buried in the ground, are very robust and are sourced using a local supplier with timber from a local sawmill. Users love the simplicity of design and the feel of real wood. The picnic table seats up to eight at the benches and has room for a wheel chair user at each end. 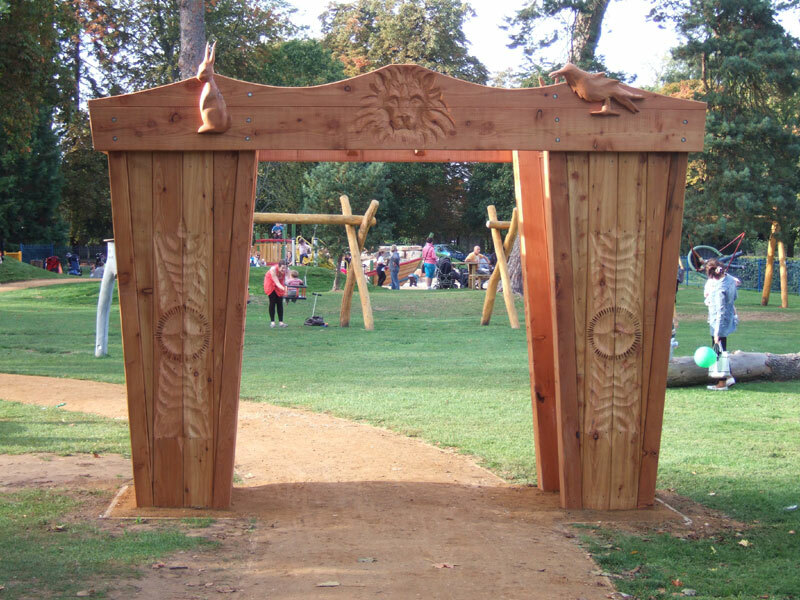 This dramatic gateway was specially commissioned by Oxford City Council for Bury Knowle Park in Headington. The park has a long association with C.S. Lewis and so a Narnia Wardrobe theme was requested. Construction is in locally sourced English larch. Carving is by Matt Cave Design and ourselves.